Meet Chad Guenter, a Firefighter in Alberta, who founded Keep Calm and Paddle On. Helping to destroy the stigma surrounding mental illness, and lending a hand to those in need. Hear 12 Messages of Support from past guests. 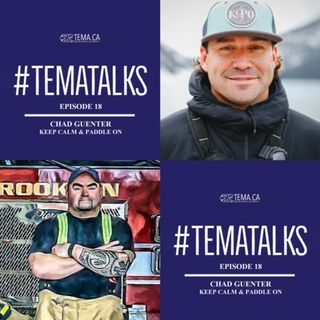 Also learn about the new #TemaTalks Gratitude Game, Help Our Heroes Charity Golf Tournament, and Helping the Helpers Awareness and Education Day. Stream on The Mental Health News Radio Network, or download from where you get your podcasts. Listen, Subscribe, and Share!